Shooting and computers … more closely related than you think! Unlike most of my TV shooting, in the last few weeks on “fun” hunts I’ve been red hot. Eighty, eighty-five percent hot on wild birds in wild places (but with no cameras to prove it!). As you can imagine, I’ve puzzled over the reason for the sudden improvement in my usually dismal gunning performance. Theory #1: My new Webley & Scott shotguns. Stock configuration, length-of-pull, new gun confidence, all might be reasons. They are great guns, functioning wonderfully, fitting like a broken-in pair of Wranglers. Theory #2: My eyes. Nope, they aren’t getting better as the hair goes grayer, just the converse. But I’ve been inadvertently training them and I have a mouse to thank. For several years I’ve moving my computer mouse with my left hand. At first, just for variety, to keep me on my mental toes. 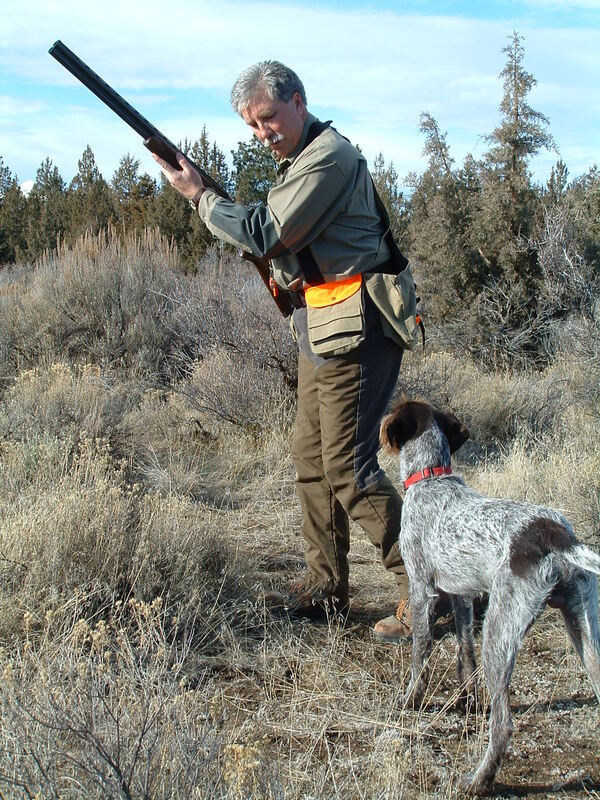 For most of us, that’s the hand that grips our shotgun’s forend – a possibly critical factor. Simple enough. But a few weeks ago, I started doing at work what many shooting instructors tell us to do with dry fire practice: move our eyes to the target before we move the gun to it, really “see” the target with laser-like intensity. Then and only then, mount the gun and pull the trigger. But I’ve been doing it in the office. The “target” has been the location on the computer screen where I want the cursor to go next – a space, new word, icon, a URL on my “favorites” list. By first focusing intently on the target, then moving the cursor (via the mouse), I’ve been “hitting” it more accurately and consistently. That deskbound practice has helped me drop ringnecks in Oregon, roll chukars in Nevada, and tumble bobwhites in Alabama at (for me) bragging-level rates. It’s not shooting practice. But it is most certainly seeing practice, and lead-hand moving practice. Shotgunning is a pointing skill, not an aiming skill. It relies on highly developed hand-eye coordination, just like using your mouse in concert with your eyes on the computer. It’s not a day afield with a good dog and friends, but it’s better than nothing and for me, it beats missing. Do you have any “inside” tricks and techniques to share?